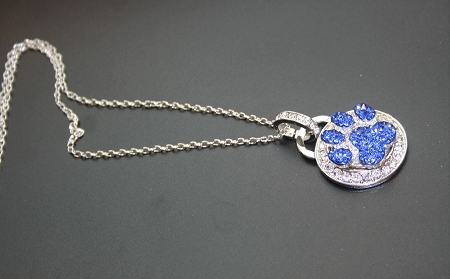 Silver-toned single pendant necklace (pictured with Blue Paw); customize yours today! See Description below for product features. · Additional snaps sold separately.